Product #3187 | SKU MADICONVERTER | 0.0 (no ratings yet) Thanks for your rating! The MADI Converter from RME contains six, fully independent, bi-directional converters, that can be used to convert MADI digital audio streams from optical format to coaxial, and vice versa. The main use for this unit is in live and installed setups to integrate various MADI sources/destinations that utilise different MADI formats, and to provide for longer cable runs. 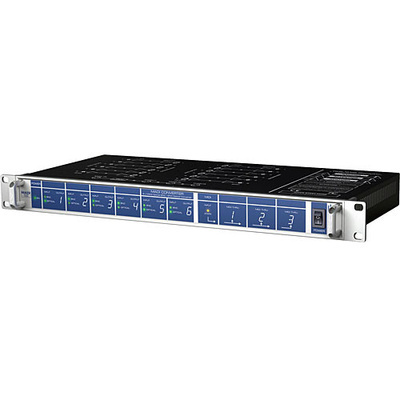 It is also an ideal companion to RME's MADI Bridge, a 8 x 64 channel MADI switcher/router. The MADI Convertor also has a built-in 1 x 3 MIDI distribution amplifier, for routing a MIDI input to three independent outputs.